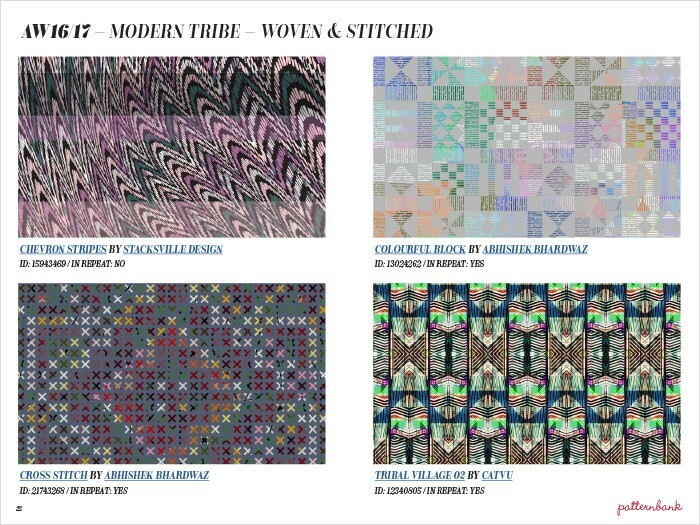 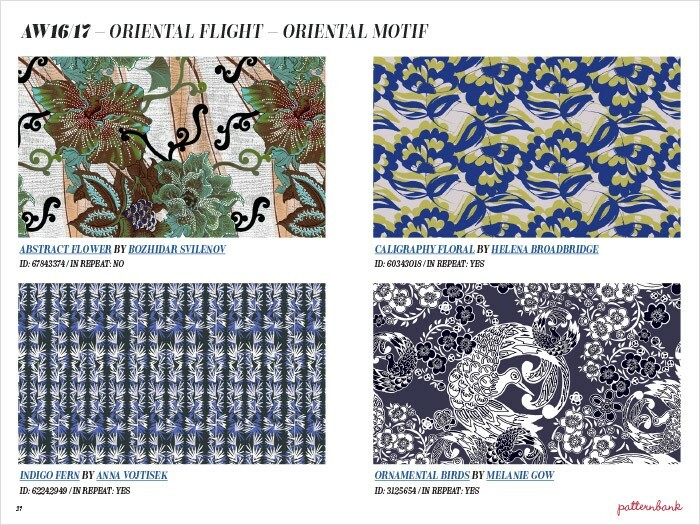 Below is a preview of their Autumn/Winter 2016-17 Print Trend Reports- Part 1 and also their - You can also view and order many of their other reports here. 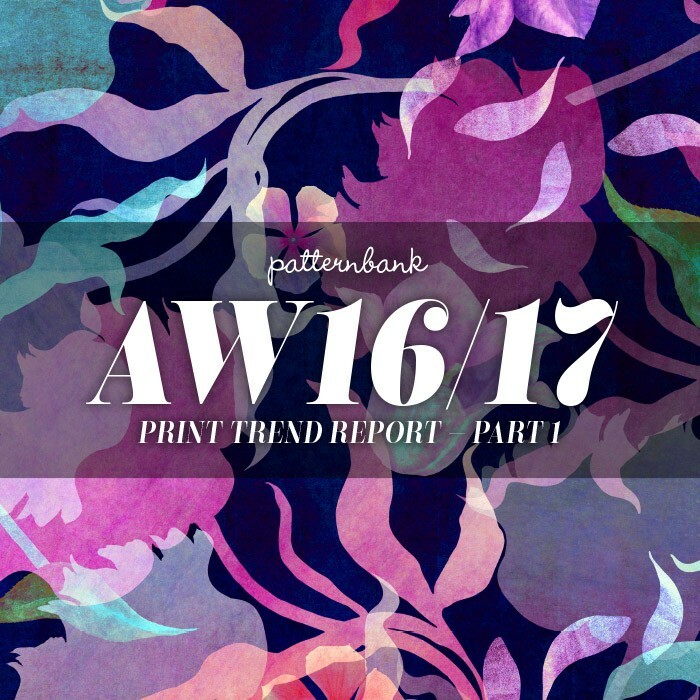 Prepare to be inspired for Autumn/Winter 2016/17 with our new print and pattern trend report. 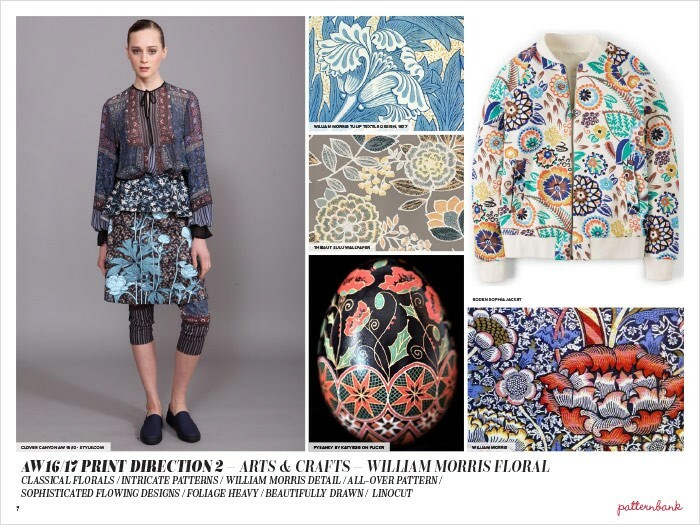 This comprehensive report has all the ingredients to help you plan your new print developments with the most progressive trend themes and creative direction for Autumn/Winter 2016/17 brought to you by our specialist trend forecasters. 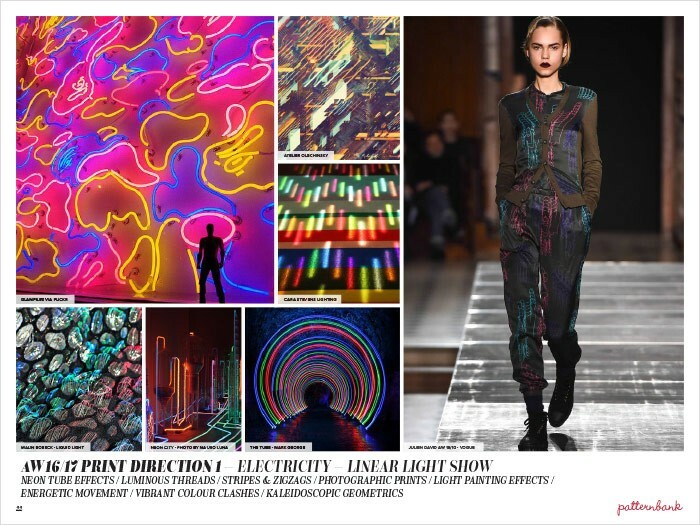 These eight print trends are divided into mood boards, print direction and inspirational colour palette pages with TCX Pantone references. 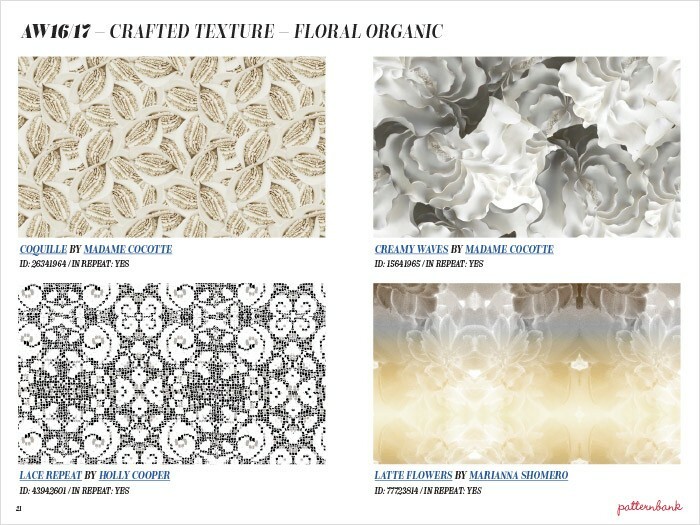 All images are credited so you are able to investigate the stories further. 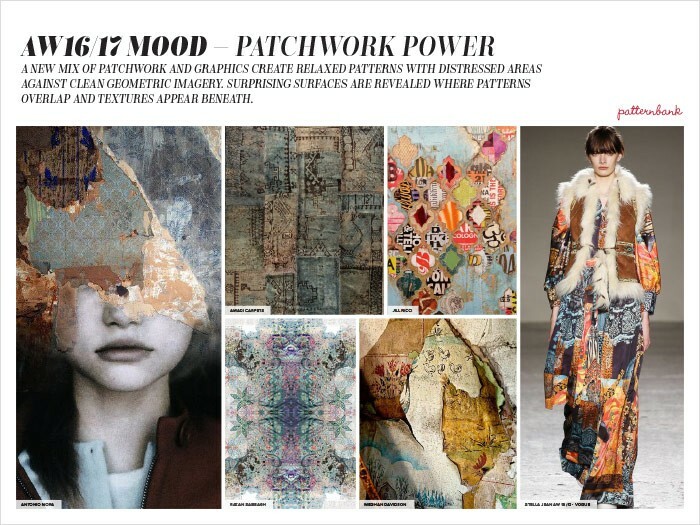 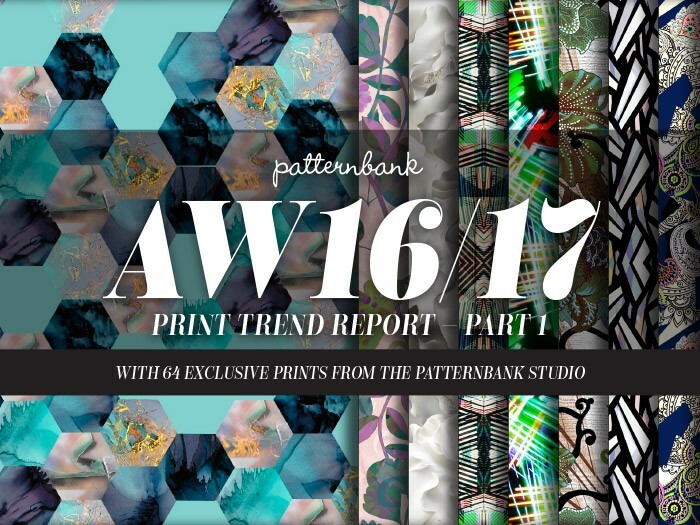 We also offer a version of this report bundled with 64 exclusive prints from the Patternbank Studio, each print is hand picked to perfectly compliment each trend story. 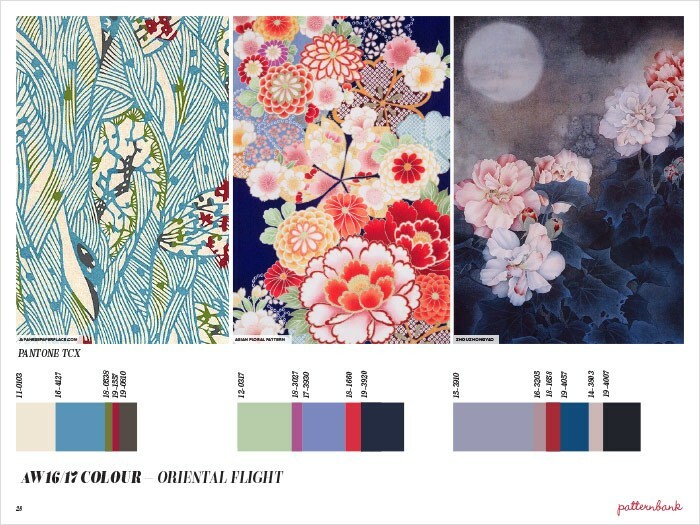 You can purchase the report here.